Being “environmentally conscious” has become a weak industry buzzword of sorts. Everywhere you look companies are touting how they are “making a difference” or why their latest product can solve a plethora of environmental woes. But do they really? Most of the time it is just an attempt to sell you something else you probably don't need, and a product that does little impact the environment. At Artificial Grass Pros, that is not the case. Our commitment to the environment begins with our products. We are the choice for sustainability and we benefit the environment with our products. The best way to see the impact is through comparison. This will highlight the ways artificial grass impacts the environment. You might also notice some negative aspects of traditional lawns that you never thought of before. Let's address traditional lawns first. Water, Water Everywhere. There is so much that goes into keeping a traditional lawn looking great. First, in order for it to grow, you need water, and lots of it. 2016 EPA estimates suggest an average family uses somewhere around 320 gallons of water each day. And we don't just use it to brush our teeth, cook and bathe. No, about 30% of that total is attributed to lawn maintenance. Nationally, Americans use about one third of their water for lawn maintenance. Artificial grass makes a huge impact in this instance. The Chemical Problem. In order for your lawn to stay healthy, watering alone is not enough. Sadly, fertilizers and pesticides must enter the equation. And while it might not seem like a lot, it adds up. Sure, there are organic products you can use, but the statistic for inorganic products is staggering. Approximately 3 tons of inorganic products are deposited into American lawns each year. These are derivatives produced by mining or harvested from synthetic oils. The harvesting process is a major energy drain and increases carbon emissions. Keeping it Trimmed. You probably never think about this one. Mowing your lawn is damaging to the environment. Gas powered lawn mowers, weed eaters and hedge trimmers significantly contribute to global carbon emissions. It is estimated that one hour of lawn maintenance spits as much pollutants into the atmosphere as a 100 mile car trip. That does not account for the other gas powered items mentioned above, or things like leaf blowers and edgers. All of this is not only good for the environment, it's expensive. The average American will spend somewhere between $2,500-$3,800 per year on lawn maintenance. In five years that's more than $10k. It seems like traditional lawns are more than just an environmental drain. They can hurt your wallet too! Let's see how artificial turf impacts the environment. No More Watering. Since artificial grass does not grow, it requires no watering. We can subtract that 30% number we talked about earlier regarding water consumption for the average American family. Going by the national average, that's a savings of 106.6 gallons per family per day, or 38,933 gallons per year per family. Helping you save water is part of our commitment to the environment! No Herbicides or Pesticides. There are a couple of things to talk about here. Of course it is a very good thing that herbicides and pesticides are not required to maintain an artificial lawn. Many of these chemicals end up in our water supply through run-off, or hitch hike into our homes on our tennis shoes. The heavy metals in many of these compounds can remain in the body for years if ingested, even in small amounts. This will affect your health over the long run, but artificial grass makes these concerns a non-issue. This is part of our commitment to the environment. Also, since there is no soil, there are no bugs. You can enjoy a pest free yard without fear of bug bites or stings that could send you to an urgent care center. No Mower Problems. Yes that is a horrible pun, but it makes an excellent point . Artificial grass requires no mowing, weed eating, pruning, leaf blowing or edging. By owning an artificial grass lawn you are directly combating carbon emissions and helping to conserve our limited supply of fossil fuels. Plus, let's be honest, not having to maintain your lawn throughout the year is nice. You can't overlook that aspect. All of the above mentioned items speak to one thing… minimal maintenance. In fact, all you have to do is occasionally spray your lawn with water to remove pet waste and dirt that gets tracked on it. Most lawns don't even require that. They simply wait for the rain to do the job. Artificial grass is the most environmentally friendly way to enjoy a great looking yard all year long with minimal maintenance. Plus, the average learn pays for itself within a few years. This is where switching to artificial turf impacts the environment, and also, has a major impact on your wallet too. Our commitment to the environment is a real money saver for you! This is why we work hard to provide quality products for you to choose. We understand that being committed to the environment is work. We want to do our part to make sure that commitment is solid. Giving you the most realistic looking artificial grass products, and a nice selection, helps. All of that to say, we have products to match your preference and our installers are some of the best in the industry. 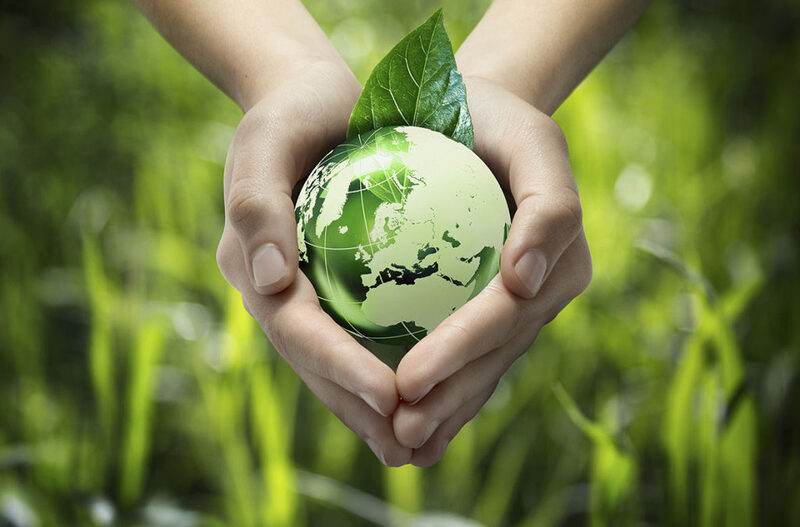 If you are looking for a company that is environmentally conscious, choose Artificial Grass Pros. We are always looking forward as a company. Therefore, each year we review our products and match them against industry standards. We use our quality standards to select new products, always factoring in the impact these products will have on the environment. We are not a company who touts ourselves as “going green.” Instead, we are a company working to conserve the green spaces we live and work in every day. Artificial Grass Pros is doing that, one lawn at a time. Artificial Grass for Dogs: Choosing the Best!